Spring technology for cat psychology. Kitties go all a twitter for the irresistible bounce of springy worms. 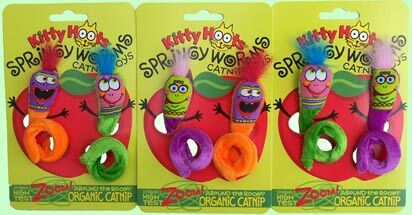 Worms also contain Zoom-Around-the-Room Organic Catnip to really get things hoppin!